The newly released 'Many Moons' print napkins (in white on flax colour linen) was featured this month in 'Drinks' Magazine. They complimented a fully catered photo shoot in the Hunter Valley beautifully. 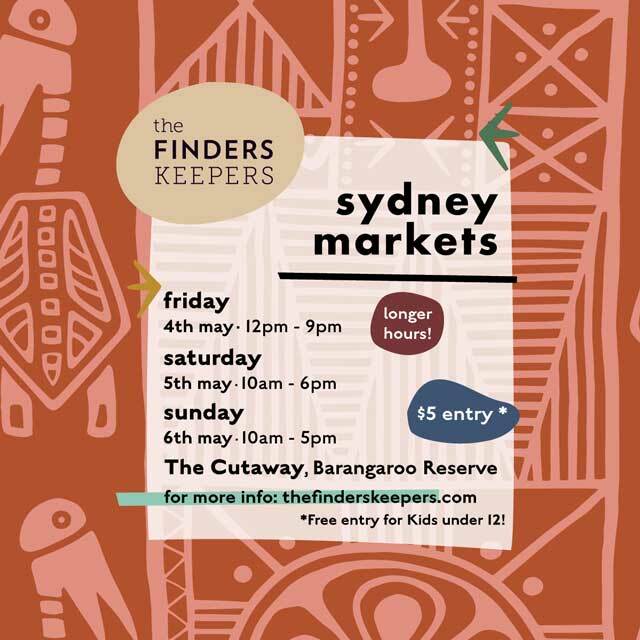 Come check out the local handmade movement + meet the makers at The Makers & Shakers market on Saturday 14th Oct at Marrickville Townhall in Sydney. make a creative day of it + be inspired by what you find hidden in Sydney's inner west! Come & visit YOU ARE BRAVE's stand at the AGHA Gift Fair in Sydney! The new Vanuatu inspired range is on it's way with the launch on Oct 14th. If you're not already a member and would like to attend the launch + opening of my new studio space, please sign up now? You will then receive your exclusive member invitation to the event in Sydney. Can't wait to welcome you + show you around! Prepare to get messy & experiment with stamps, stencils & hand painted techniques to create cool patterns on fabric bunting/wall flags. 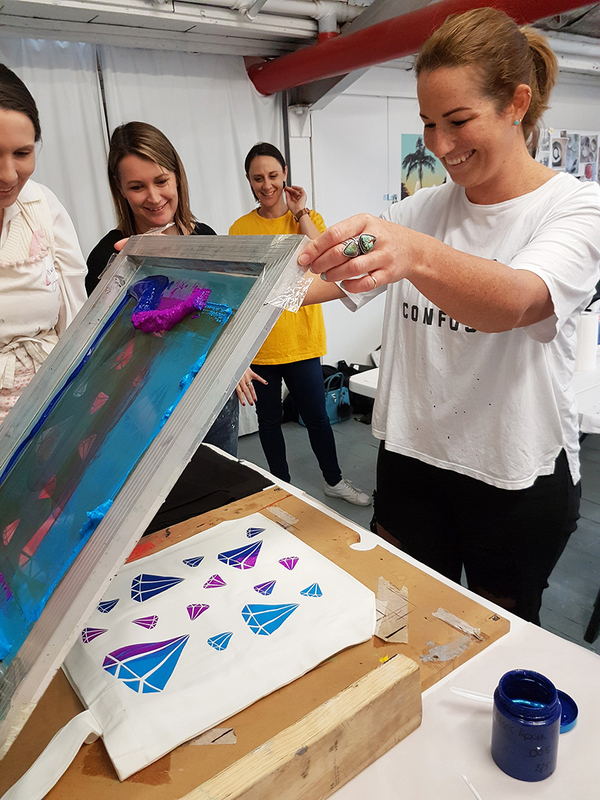 We use non toxic, water based inks to print your own bunting or cool wall flags to hang in your room or use at your next party. And you get to take home plenty of test print fabric to make into other projects at home with the help of an adult. Bring a smock, a snack & a smile & let's get creative with fabric prints! Classes are held at Makerspace & Co in Marrickville, Sydney. There are various dates for ages 5 to 13 years during the school holidays. To find out more or book click here.